As I mentioned in a previous post, I have a list of tips for “The Perfect Guest Room”. All of my tips are about making your guests feel really welcome and comfortable. I’ve divided the tips list into two posts so it won’t seem tedious to read. This also allows me to explain my “why” for each point, which I normally just talk through with my clients. None of these tips are hard or expensive to do. You can implement them a little at a time, as your budget allows, toward a perfect end product. Most of the tips just require a little planning and organization. Once you set up a great guest room, it almost takes care of itself. Forewarning: I’m gonna give it to you straight in these two lists. I’m gonna tell you all the things guests are too polite to mention. I’m not trying to be rude, either, just honest. Most people think their home is the exception to the rule. Or, that any guests “won’t really notice” all the things about their guest room that the hosts already know, in their hearts, are really not so great. Quality matters. The guest room is not where your old furniture should go to die. Do not put your own old, used mattress in the guest room, especially if you KNOW it is uncomfortable. Replace that old mattress with something comfortable, basic and on sale. Size matters. Less-than-a-queen-size bed is most adult’s version of a bad night’s sleep, even if they are alone in that bed. Use a bed skirt. We all store things under the guest bed. It is prime real estate for storage. Just don’t make you guests look at your jumble of stuff. A good bed skirt in a neutral color (white, cream, etc.) hides a multitude of sins AND all of your Christmas wrapping paper. Use a mattress pad. For just the same reasons you use one on your bed, buy a basic one for the guest room and use it. 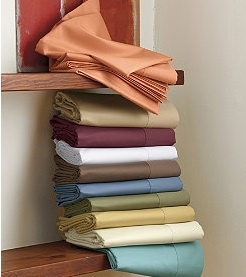 Guest linens should be used in the guest room only. Keep them separate from the rest of the household and they will last longer. Have four pillows on the bed. One pillow per person just looks like a prison bed nowadays. Decent pillows are only $10 a piece at Target. You won’t have to replace the pillows for at least 5 years, because they are on the guest bed. Two of those four pillows should be “soft” and the other two should be “firm”. Put a firm pillow behind each of the soft ones when you make the bed. Every guest can choose just what they need to sleep well. Always have a spare blanket visible in the guest room. You don’t want guests digging through your linen closet in the dark at 2 am. Keep the bed linens luxurious feeling, but neutral. The bed should be inviting to everyone. No heavy, dark stripes and no pink, swirling flowers. Classic, neutral bedding also needs less updating. The bed should have a nightstand on both sides of it. 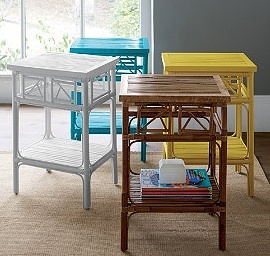 If you can’t fit in a traditional size nightstand, consider a small but sturdy table as an option. Just make sure there is enough surface space for a book or a pair of glasses. If you have the room, use a small dresser with drawers as each nightstand. You can keep the guest towels and linens in the drawers. Place an easy-to-use alarm clock on one nightstand. A small travel alarm clock works great here. Place a box of tissues on each nightstand. Place a small, nicely lined trash can next to one of the nightstands. Change your ceiling fixture bulbs to be 100w or less. If you have more that two bulbs in your fixture use 75w for each bulb. Remember that a bedroom is for resting and winding down from the day. It seems obvious, but many people light their bedrooms as if they were offices. 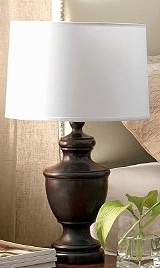 Put a regular size lamp on each nightstand. Use 75w bulbs for these lamps, since people will only be using them for bedside reading or relaxing. If you are using smaller tables as a nightstands, consider hanging two swing arm lamps on the wall above each table. You can find very reasonable prices on these at Home Depot and Lowes. to find the right hanging height, sit in the bed as if you were sitting up in bed reading. The bottom of the lampshade should be right above your shoulder. Whatever window treatments you choose, make sure they are room darkening. Allow your guests to sleep in a little, even if you don’t. 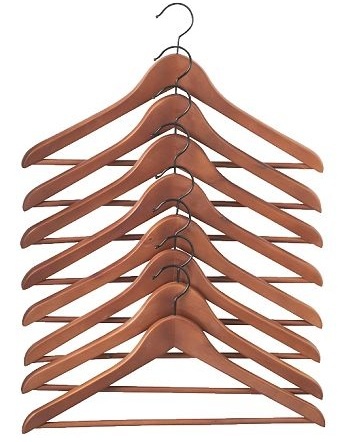 Provide hangers for this hang up space. Not old, bent dry cleaning hangers. Plastic hangers in a ten pack from Target work great. If you have a dresser in the guest room, you must leave at least one, if not two of the top drawers empty for your guests. No one likes to stand on their head searching for socks in the dark corners of their luggage. You also don’t want to look like a candidate for “Hoarders”. A luggage rack is nice, but floor space in the bottom of the closet for your guest’s empty suitcases works just fine, too. Regardless of how you share the bathroom in your home, remember to leave space for a guest to hang their towels to dry. This can be a simple hook on the back of their bedroom door. When you buy new guest towels, run them through the washer and dryer several times before putting them to use. This gets them nice and soft and really gets rid of any fuzzy towel shedding. 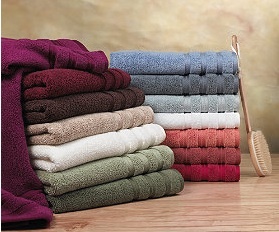 Have the guest towels stacked nicely and visible in the bedroom when your guest arrive. This is an old school technique, but it immediately shows your guests that you have planned well for their visit. Those are the basics! The rest of the list will feature “easy maintenance” and “simple perks”. Look for that post next week! With one noted exception, all of the images in this post are courtesy of The Company Store. The Company Store offers a great selection of stylish and affordable products, including eco-friendly bedding products and solutions for those with allergy issues. 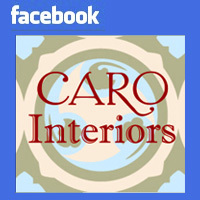 I recommend them because I’ve used their bedding in my home for years. If you ever find yourself in the LaCrosse, Wisconsin area, they have a great outlet! Posted on April 12, 2011, in DIY, Lifestyle, Organization. Bookmark the permalink. 1 Comment. I’m embarrassed to say that I have several things to work on to bring my guest room/office up to speed. I work in here everyday so I don’t really think about it, but if I look at it from a guest’s point of view, I’d feel like I was sleeping in an office. I’m blown away that I didn’t see it before. Thanks for the wake up call. I’m anxious to get started making it more welcoming for guests.